You left out a great glass beach by the name of Glass Beach in California. I visited there and took some photos in 2008. Loved it and I'm ready to go back. 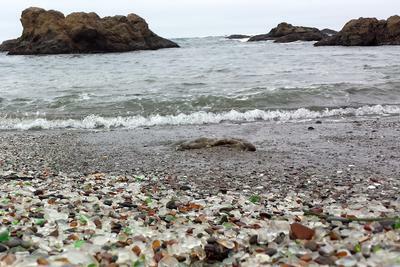 Looking back at your post, I realized I hadn't added a link directing you to a special page on Fort Bragg Glass Beach with a lot of comments. Comments for Glass Beach, Fort Bragg, Ca. I just learned this: Collecting glass here is actually illegal-as it is on any Beach that has been designated as a State Park! People have still been hauling glass away by the bucket full! You can collect on other beaches though as long as they are not State Parks also. Not as pleantiful as it used to be. I live only 4 hours away from this beach and have been visiting it for the last 20 years. Before it was a state park the glass was plentiful and you could find many colors shapes and sizes. The majority of the glass is very thoroughly frosted. However, now that it is frequented by more people the amount of glass has dropped significantly, you really have to hunt for the decent sizes and colors and it is next to impossible to find the rarer colors. White, green and brown are the dominant colors. If they have declared the beach protected, they sure don't enforce it. Even today you can go and see any number of people with buckets and bags, taking the glass. 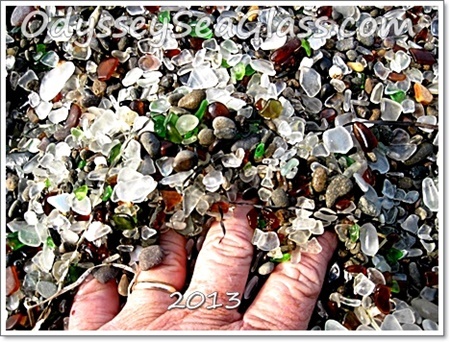 I plan on going this season back to Glass Beach and when I return I will update the post. Thanks for your response! Years ago and to this day my favorite place to visit is Ft. Bragg in Northern California. The day I discovered "Glass Beach" was the day my life changed. I was like a kid in a candy store for the first time in my life. 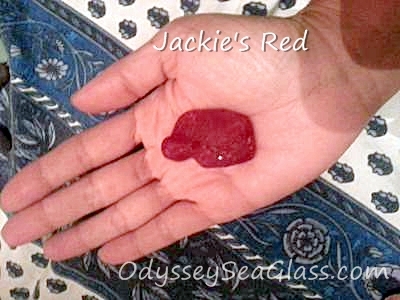 I spent hours upon hours collecting the glass and bringing friends to the area. I heard it was now a State park but I have friends still bringing home glass. I do not know how the state could possible control visitors from collecting from this beach. It is large and plentiful. Here's a reminder to all to use the Search Box (see left column) for more information on whatever you are looking for. 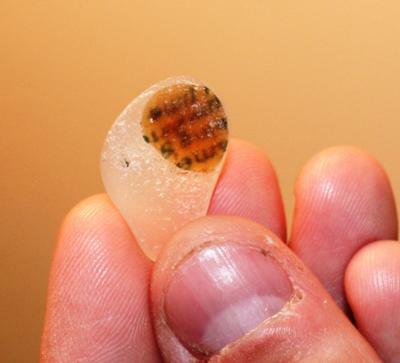 With over 700 pages on sea glass, it is hard to find everything on a given subject without using that feature! I have actually heard that you ARE ALLOWED to take glass from the beach. They frown upon it, but have not make it against the rules. 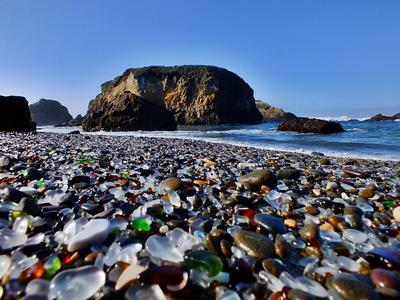 There is so much glass up and down the coast in the bay area, and with there being a glass blowing factory on the beach in Frisco, there is constantly new glass being added. So, I just wanted to include that little tid bit. I could be wrong about Fort Bragg, but that is what I was told by someone who frequently collects glass at fort brag. 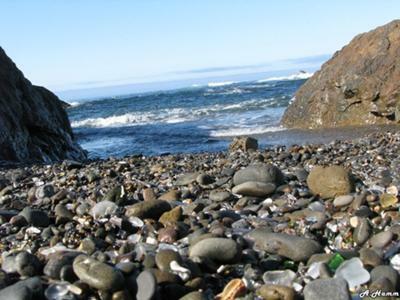 Ft. Bragg's Glass Beach is a great place to look at sea glass. The state park system has done a great job by designating this beach a protected area where no glass can be collected. Protecting the beach means that it'll be there for others to see and enjoy for years to come. 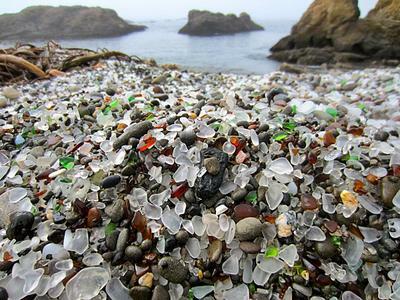 Go there and listen to the glass being tumbled in the waves and marvel at how much glass there is on the beach. My mouth is watering! What a great find. Wish it was in my backyard.